Dense link networks can be hard to understand. Ted Nelson once wrote that “everything is intertwingled,” and over weeks or months your Tinderbox notes can grow tangled. Now, Tinderbox can help you untangle your maps automatically. In map view, View ▸ Arrange ▸ Dance (⇧⌘-D) initiates automated layout of the view based on a physical simulation. One common Tinderbox task is qualitative analysis of surveys, interviews, letters, or polls. An important preliminary step in this work is coding —identifying occurrences of special interest for the study. For example, if we were analyzing a collection of nineteenth-century diaries to study what people recorded about food and drink, we might want to code where the food was consumed. We might mark every passage that discussed eating at home with the code P1, eating at the residence of another family member with the code P2, eating at a pub with P3, and so forth. We might also note places where money is discussed: C1 might indicate that the writer paid for their meal, C2 that someone else explicitly paid for the writer’s meal, and so forth. There’s lots more — including emojis and all your favorite vexillography! Tinderbox now scans your notes to extract information that your agents can use. Using state-of-the-art machine-learning networks, Tinderbox extracts names, organizations, and locations from your text and places them in special attributes. A new Get Info panel can help you locate lazy or imprecise word choices, avoiding unwanted repetition. 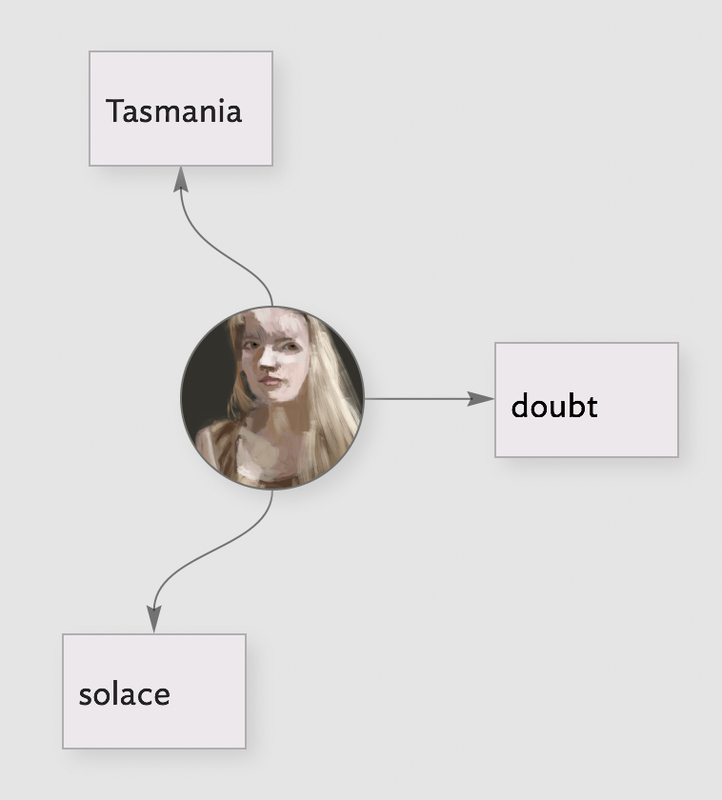 Choose any repeated word, and Tinderbox shows you where you used it, and its context. Beyond dancing and flags, maps and outlines are faster and look better. Tinderbox’s intelligent map guides work even harder behind the scenes to understand how you're laying out your map and offering to put things exactly where you want them. The new color scheme, “Modern” gives Tinderbox a new look. Want to adjust the curvature of links? Now you can. You can fill a note in the map — whatever its shape — with an image: just paste the image into the text pane. Handy for visual references and great for presentations. Want to copy and paste text links? Now, you can! Want to link to a specific place in a long note? Now, you can! Want bigger, bolder key attributes? They’re at your fingertips, either for one note or for every note. Want to set the size of text windows? Tinderbox can do that, too. Attributes are easier to find. Agents work even more smoothly behind the scenes. Almost 150 improvements in all. See the release notes in Tinderbox Help for details.